Bronte Blog: "Sloane Hall by Libby Sternberg can be categorized under different labels: a historical romance, women's fiction or a reworking of Jane Eyre, which is the reason why it is featured on BrontëBlog. 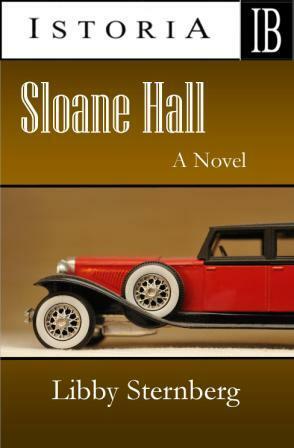 Sloane Hall is all that and more than that, a clear example of a novel where the overall result is more than the sum of its parts…. the original Charlotte Brontë novel still transpires through its pages but Sternberg has also built a personal universe where some of the characters have equivalents in the original Jane Eyre novel but don't behave as automatons remote-controlled by Charlotte Brontë's narrative…. The main success of the novel as a Jane Eyre reinterpretation is that the way in which these connections are made doesn't steal Sloane Hall's inner autonomous narrative. Things don't turn out as you imagine, the common elements don't necessarily work as in the original novel and the decisions of the characters follow an internal logic not always equivalent to Jane Eyre. Small fluctuations in the text give way to unexpected outcomes. This causes an extraordinary situation in a novel like this for a reader who knows by heart Charlotte Brontë's novel. Even recognizing the elements, you don't know what is going to happen…. Libby Sternberg's intelligent and intriguing Jane Eyre reimagining has achieved two of the most difficult goals in a novel: being a page turner and paying a worthy tribute to Charlotte Brontë's immortal story." 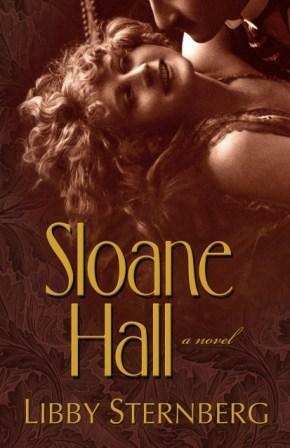 VOYA: "Sloane Hall is an evocative retelling of Jane Eyre; readers will be hooked into the mysterious love story while learning interesting historical background on the beginning era of Hollywood. There is much insight into love, human nature, faith, friendship, and more. The perceptions of the characters, appropriate for their age, as well as the language, will make this a read for older teens. Fans of Jane Eyre and more classic literature will appreciate this story, and it would make a good comparison book discussion." Fresh Fiction: "Sternberg never loses sight of the story she's re-telling, but this novel is definitely her own. Readers have things to figure out and look forward to. Her prose flows beautifully with vivid descriptions of people and places, bringing to life a Los Angeles of times gone by. Fans of historical fiction and Jane Eyre in particular will relish this novel, and readers who enjoy a love story should definitely pick this one up." The Book Binge: "This is truly a Hollywood story--the flimflam of the movie industry, the parties and hard drinking and drug use, the competition between big stars, the "spin" that is woven around their joys and disasters. It is a heart-rending tale of two people who are, as Ellie often commented, " . . . trying to be good . . ." and who are simply looking to be loved and at peace within themselves. It is a story of loss and gain, betrayal and forgiveness, kindness and cruelty. It embraces the best and the worst of the human spirit, and exposes the reader to authentic friendship, family dynamic--even the worst of families--and the artificiality of tinsel town. "Ms Sternberg has written a beautiful novel in that it is so well crafted, the narrative sufficiently descriptive to be helpful, introspective enough to give insight into John's insecurities and triumphs, and helpful in understanding how his early experiences influence his decisions and choices. The plot is classic--struggle, achievement, conflict, and resolution. The story line begins in such a way that the reader has a full understanding of John's roots and early experiences, his initial failures in Hollywood as an apprentice camera-man, his willingness to be a jack-of-all-trades for Ellie and her housekeeper, and his journey back from the lowest point in his life. The characters are enticing--they are each unique and I think are rather iconic as being representative of the kinds of people we all encounter, whether in such a context as Hollywood, or just Main Street, USA. "This is truly a love story, but it is Love, Rocky Road Style. It brings the reader into the bowels of the story and it did not let me go until the very end." Romance Reviews Today: "Admittedly inspired by Jane Eyre, Sloane Hall contains a similar plot with a few surprising twists. As two very troubled individuals try to convince each other of their love, destructive forces work to destroy that attraction. All the characters are well developed, interesting people driven by their desires….What makes Sloane Hall different and intriguing is the setting. The depictions of the movie business and of social life amongst movie elite during Prohibition effectively take the reader back to a free-wheeling time—well worth reading." Library Journal: In 1922, the Ku Klux Klan led the drive for an anti-Catholic, anti-immigrant referendum that made it illegal for Oregon parents to send their children to parochial schools. Against this historical backdrop, teen brothers Carl and Adam Matuski travel to Portland, after their mother's death to live with their Uncle Pete. Unfortunately, life in a bigotry-poisoned town is unbearable, and 15-year-old Carl wants to go back east until Adam is accused of stealing jewelry from an affluent family whose daughter Adam had been dating. Addressing themes of religious intolerance and ethnic discrimination, this YA novel is taut, vivid, and stirring and will appeal to all ages. Highly recommended. Booklist "… The time is 1922, and her protagonist, Carl Matuski, is a Polish Catholic 15-year-old, who, along with his older brother, Adam, lives with taciturn Uncle Pete in Portland, Oregon. When likable Adam is accused of stealing jewelry belonging to the family of a girl he has been dating, Carl sets out to prove him innocent. In so doing, he finds a hidden side to his beloved brother and discovers deeply rooted ethnic and religious prejudice in his community. The controversy surrounding the passage of Oregon's 1922 compulsory public-school referendum, which spelled the demise of parochial schools (it was later struck down) is a large, and very interesting part of the backdrop…. the issues raised and the difficult choice Carl must ultimately make give this inspirational, nicely written story an underlying strength. School Library Journal: "This fast-paced novel has an interesting blend of fiction and fact, illuminating many issues plaguing immigrant families during a volatile time in America. Polish and Catholic, the main characters not only face stereotypes that accompany poverty, but also combat harsh racism… readers are easily swept up in the adventure as the eye-opening mystery unfolds." Catholic Explorer (Joliet, IL): "In a book written with a teen-age audience in mind, author Libby Sternberg projects an 'unsinkable Molly Brown' quality in the protagonist, 15-year-old Carl Matuski, whose contagious energy is certain to maintain the interest of today's multi-tasking young adult readers. At the same time, there's much in this book for not-so-young adults to consider—specifically the political and social environment leading up to a referendum, passed in the 1920s in Oregon, prohibiting the existence of Catholic and other private schools. Readers might shake their heads in disbelief over the possibility that such a movement would prevail in 20th century America. Yet nearly a century later, issues of unwillingness to accept the immigrant, and intolerance for another's faith, continue to spread poison, like venom from a snake . . . Carl's fidelity and devotion for his brother, his unswerving loyalty, the beautiful innocence of brotherly love and faith-filled forgiveness should put this book on the first shelf. The ability to simultaneously sustain a sense of mystery with a purveying sadness, while preserving a surprise ending, are three key elements that put Sternberg's writing style in a class with other talented writers in this genre. This book is recommended for a junior high and high school social studies reading list and would fit nicely into religious education class discussions." Tri State Young Adult Book Review Committee (PA, NJ, DE) "Sternberg brings the Prohibition era to life (and) provides a strong historical novel using the mystery genre to provide the details of prejudice in the 1920s…Strongly recommended… Outstanding"
Young Adults Book Central (Terry Miller Shannon): "This is a compulsively readable page-turner with thought-provoking social issues, a fascinating peek into a little-known time and place, and a thoroughly real protagonist. The relationship between the brothers is nicely complex. Readers will be intrigued by the mystery, root for Carl's coming of age, and be reminded that prejudice shifts to target all different groups. Highly recommended." VOYA: "Although the book is set in the 1920s, it reads like a modern mystery. The author does a fine job of interweaving the story with the historical campaign for the Oregon School Question of 1922, which tried to outlaw parochial schools. The story also does a fine job of explaining the anti-immigration mindset of the country during that period. Sternberg is quite descriptive in her character development while keeping the story line moving at a good pace. Readers will enjoy the inspiring story of Carl finding his way in the world among the bigotry and spread of Bolshevism. This page-turner will keep teens interested, making it a good addition to any library." 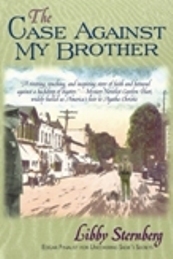 TeensReadToo.com "The Case Against My Brother is a very well-written mystery with wonderful characters and a suspenseful plot featuring a backdrop of intolerance and bigotry in a dark, little known corner of American history . . . Libby Sternberg is a master at characterization and plotting, and this story will keep you reading straight through to the end." Lancaster (PA) Sunday News "The book is carefully researched, exposes religious and ethnic prejudice, and portrays Polish-American characters realistically and sensitively. . . . But Sternberg's target audience, mystery-reading teens, will be more interested in the book's likable yet unlikely hero and the issue he faced then and they face now: what it means to grow up. Of course, a daring impersonation, visits to a speakeasy, an encounter with Klansmen, and a fight to the death will help keep young readers focused on the essential question of whodunit." Is Sloane Hall just a retelling of Jane Eyre? It’s not a point-by-point re-creation of Bronte’s classic romance. Rather, I wanted it to be a re-creation of the emotional journey found in Jane Eyre, with recognizable references to the original story line. I really hope readers are able to appreciate Sloane Hall as an homage to that brilliant piece of storytelling but aren’t disappointed when they come across a new story. One of the major deviations from the original is the fact that Jane . . . is a John! Why did you decide to switch the gender of the protagonist? I wanted the story to be fresh. I think any time you write a book like this, which clearly references a well-loved, well-read original, you struggle to keep it feeling new, as if it had never been told or written before. I’m a huge Jane Eyre fan. I’ve re-read the book countless times. I’ve watched numerous film versions of it. It’s the emotional journey of the book that has stayed with me more than the actual details. I wanted to recreate that journey. I didn’t think changing the time period or setting was enough to accomplish that. Other than the gender switch, what other aspects deviate from the original? Time and place are different, of course. I chose Hollywood in the 1920s because film stars make up a kind of American "gentry." And I chose the year film was making the shift from silent to sound to create a background tension that makes Pauline’s circumstances precarious. She’s about to make her first talking picture, a very stressful time for silent stars of that period, many of whose careers didn’t survive the change. And I will tell readers right now—there is no lunatic spouse in the attic! That begs the question—what is in Sloane Hall’s attic? Secrets! Actually, this was one of the most challenging—and most fun—aspects of writing this book, coming up with the awful secret, the climactic moment to parallel when Rochester reveals he’s married to insane Bertha. I kept asking myself: how did nineteenth century readers feel when reading that scene? Would their sensibilities about mental illness be the same as ours today? I think not. I believe today’s readers probably feel most sympathetic to Jane in that scene and are, perhaps, troubled by Rochester’s deception and the handling of his mentally-ill wife, even if they can spare a measure of sympathy for him, too. I wondered if the original readers, however, had much more sympathy for Rochester in that scene, and experienced, perhaps, an “eww” moment when contemplating his wife’s state. I wanted to recreate the feelings that nineteenth century readers might have had—equal measures of sympathy and disgust. I hope I succeeded. The other very memorable moment in Jane Eyre is when Jane hears Rochester calling to her across the countryside. How do you handle that? Since we’re dealing with film, I think most readers will guess that this scene involves one of Pauline’s movies. But perhaps not in a way readers might expect. So I’m hoping there’s still an element of surprise and appreciation here that makes this aspect fresh for the reader. How else does the book differ from Jane? I think John struggles with the idea of forgiveness much more than Jane did. John has a much, much harder time letting go of his resentments of those who had wronged him in the past. This resentment and simmering anger gets him into trouble and ultimately drives his transformation. He has to learn to conquer it before he can ultimately accept Pauline into his heart. And, of course, she has to conquer many inner demons as well. I think her struggles are a bit more “on stage” than Rochester’s were. With all these differences, what is similar to the original? Like Jane, John had a troubling youth. His “Lowood” was a reform school. Also like Jane, he’s a contrarian and a realist, especially about himself. He’s a gentle soul wanting to be loved and to return that love in full measure to someone worthy of it. He is also a deeply spiritual man, although not in any denominational sense. He’s an “outsider,” a loner, someone who grew to expect little from life except what he could bring to it. And, like Jane, he considers himself plain, certainly unable to compete with the dashing stars surrounding Pauline Sloane. Are you a fan of retellings of famous stories? If so, what are your favorites? Skillful retellings excite me because they make me feel as if I’m reaching across time and enjoying the story the way its original audience might have experienced it! I love the movie Oh Brother, Where Art Thou, which is loosely based on The Odyssey, for that reason. I really enjoyed the 1995 film version of Richard III with Ian McKellen and Annette Bening, which is not a retelling but a resetting of that play in a completely unexpected way. I thoroughly enjoyed Alice Randall’s book The Wind Done Gone, a different take on the characters in Margaret Mitchell’s Gone with the Wind. Each of these had me looking at the original stories and their characters with fresh eyes. It’s a thrilling sensation to feel in communion with the first audiences for these tales. I hope readers of Sloane Hall have that experience and feel connected to the first readers who fell in love with Jane Eyre. 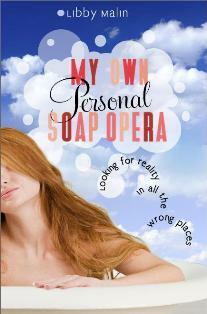 The story of My Own Personal Soap Opera centers on the struggles of a daytime drama head writer. Did you ever write for soaps? No, but I confess to wanting to at one point in my life. I thought it would be a great challenge--to work through the backstage drama and weave the onstage story threads into something appealing. I think soaps are magnificent works of storytelling. How could you write about a head writer if you've never been one?" Research! I read numerous books about soap operas--some memoirs of soap actors, some fiction written by soap stars and set in that world. But most valuable was help from Jean Passanante, the head writer at As the World Turns (sadly, now canceled). She patiently answered questions I sent to her. I cannot thank her enough for her generosity in giving me her time. I took liberties with the info she provided, but it helped ground me and the story. Do you watch any soaps yourself? Yes, and I am not ashamed to admit it. I watch Days of Our Lives when I get the chance. I used to be a fan of Another World (now off the air). Fans of that show will notice that my protagonist's name is Frankie--Frankie was a popular character on AW. Soaps use some really unbelievable plots, though. How can you take them seriously? But that's where the talent of the soap writers shines through -- in the incredible stories! Days once featured a story involving possession by the devil and exorcism. I was glued to that story. Even as I chuckled at how preposterous it was, I wanted to know what would happen. That's because of the writers' skill. How would you define that skill? I think it's knowing your characters really well and letting any story -- no matter how preposterous -- grow out of the characterization. Somehow, the writers at Days managed to take this characterization of a beloved heroine, Marlena, and start shifting her in small, but believable ways, until voila, they'd arrived at their possession story. It was a tour-de-force! So you think about the writing when you watch soaps? Yes, I started viewing them that way years ago. I'd marvel over a plot and wonder if it was driven by something going on backstage -- an actor getting ready to leave the show, for example. I'd think "that must be a real challenge, to incorporate all those factors and still write a good tale." In My Own Personal Soap Opera, your heroine, Frankie, is torn between two men--one the hunky leading man, and the other an older, but dashing executive. Was that inspired by a soap plot? A hero/heroine torn between two possible lovers is a staple of many stories--not just on soaps! 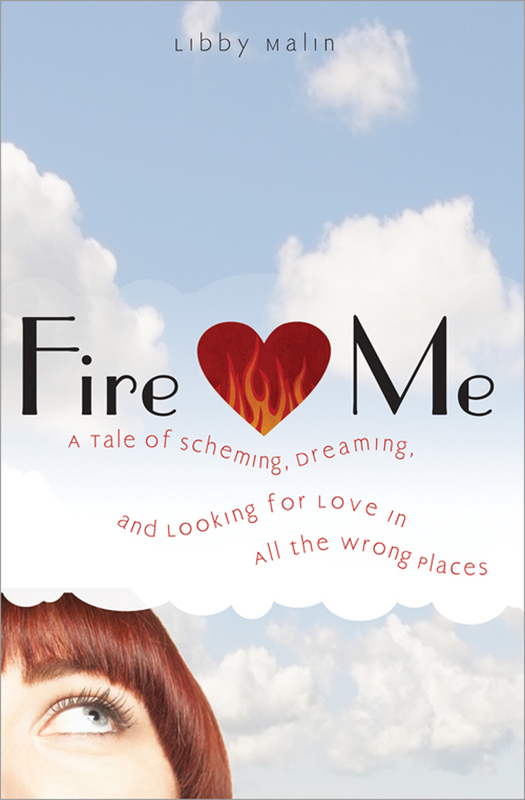 This book, like Fire Me, is humorous women's fiction, or romantic comedy. Where's the comedy spring from in this one? Same as the last one -- a crazy situation (a story involving a jewel thief on the show is being imitated in real life) and how the characters deal with that. . . and other crazy situations that spring up along the way. It's like a snowball building, one thing leading to another until the denouement. How does this book differ from your previous one? In my previous book, Fire Me!, the action took place in one day, making the pace a bit frenetic. The situation, too, was probably a bit more incredible --a woman trying to get the pink slip so she'd be laid off from her job. While the plot in My Own Personal Soap Opera has many wild moments, it's a different kind of roller coaster ride. It takes place over several weeks, and the humorous situations are probably less slapstick (although there are a few of those!). Hmm . . . maybe when Frankie is forced to face the press during a news conference about the jewel thief, and she says "Art doesn't rob people. People rob people." What inspired you to write Fire Me? A dear friend couldn't decide whether to stay at her job or move on to something else. We started joking about how she could just start messing up her work and the boss would let her go, thus ending her torment over whether to stay. This got me to thinking: what if a woman deliberately tried to get laid off, knowing her future was secure and she wouldn't be damaged by her actions? Yes...and no! LOL! Sometimes it can be amazingly easy -- when the characters and situation just lead to something that tickles your own funny bone. Then you can't wait to get it down on paper. There are other times, though, where you know how funny something would be if readers could actually see the action, but describing it takes some skill as you struggle not to "overtalk" it, thus losing its punch. I've rewritten a single line many times struggling to find the funniest way to put something. Is Fire Me only about the laughs? No, like most good comedies, it has a deeper, more "human" story to it. It's not about yucking it up at the workplace. It's about pursuing one's dreams and how so many things can get in the way of that pursuit. At the end of the novel, the protagonist has to make a big decision about the direction of her life. How hard is it to write mysteries for teens? What sorts of challenges does it present? Teen mysteries always deal with an amateur sleuth -- because your protagonist is a teen. So you're dealing with all the challenges of writing amateur sleuths -- how do they come upon the mystery, why do they get involved in trying to solve it instead of running to the authorities, and how do they end up solving it. On top of those challenges, you also have the problem of a teen's limited access to and even understanding of certain clues. A teen, for example, might not know how to trace an embezzlement scheme or a tax fraud. What kind of character is Bianca Balducci? Bianca is an average teen -- I know that's a cliche, but by average, I mean a reasonably well-adjusted girl who worries about all the things a fifteen-year-old would worry about. She's bright, but doesn't always know it. She's cute, but doesn't believe it. And she's compassionate and loves her family, even if she sometimes hides it. She lives in a household where her single Mom goes to church, where she herself goes to a parochial school, and where her friends include well-to-do and middle-class kids. I wanted to create a character that teen girls could relate to, that has them nodding their heads in recognition. One of the absolute best compliments I received on this series was when a teen wrote something like this to me: how'd you know how much time I spend thinking about my hair? When I was younger, I read the Trixie Belden mysteries and they helped turn me on to reading for pleasure, not just for school work. I wanted to create a heroine like that -- flawed, likable, smart, cute. Are there plans for more Bianca books? Not at the moment, but that could change. The Case Against My Brother is your only historical YA. Why'd you venture outside of contemporary tales? For two reasons -- first, I have wanted to be published in historical fiction for quite some time. I love losing myself in a different time period. I do have an adult historical, Sloane Hall, however. But secondly, and just as importantly, I wanted to tell the story of the anti-Catholic school campaign of the 1920s because I think it holds so many lessons that are relevant to today...on bigotry and on current school policy. I wanted to write a story that would make the reader think: what if school policy had not been co-opted by a xenophobic, nativist movement? I felt this story very strongly because I'd been involved in education reform efforts in Vermont and knew from that experience how hard it is to jostle free people's pre-conceived notions about an "institution" like public schooling. I also wanted to write a book from a male point of view. Case's protagonist is a teen boy. I hope it pulls in some male readers. I found it difficult to find good fiction for my boys when they were younger. REVIEWS: Click here on REVIEWS to read some of my favorite snippets. OTHER THINGS: Click here for a humorous essay about the Kindle I had published in the Wall Street Journal. Click here for an essay of mine on the historical background of The Case Against My Brother.